Redefining ‘a room with a view’ – this City Room truly gives you a breath of fresh air with a private rear facing balcony. Step outside and greet the beginning of another exciting day in central London’s exclusive and tranquil SW1 district. 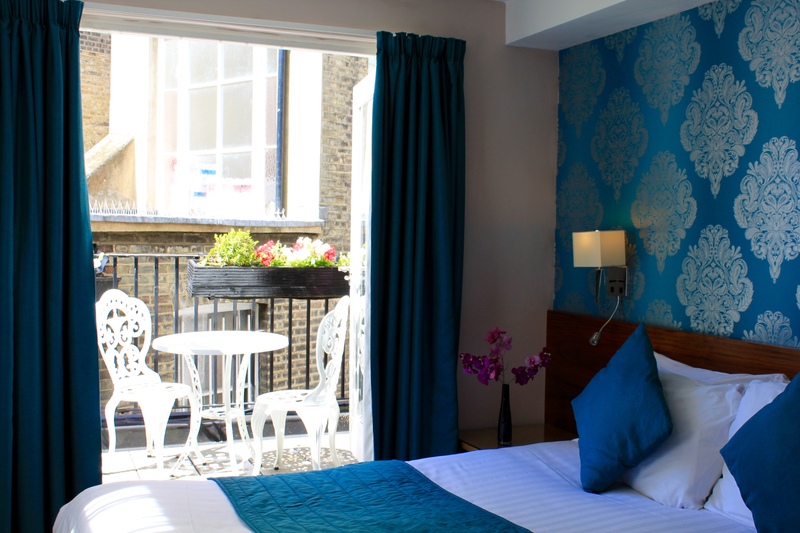 This cosy room is designed for the modern traveller like you with all the amenities you need: high-speed WiFi to connect with friends and family, complimentary tea, coffee and biscuits and powerful showers make for the ultimate escape to the heart of London. This room is located up a couple of flights of stairs so travel light as we do not yet have a lift! And don’t worry about breakfast – we’ve got that covered, too, with our free continental breakfast to give you a great start to your day!